In this sightseeing tour of Mysore from Bangalore, experience the city's culture and see the most famous attractions. Visit the must-see places like Mysore Palace, Brindavan Garden, St. Philomena’s Cathedral and much more. We also stop over at Tomb of Tipu Sultan at Srirangapatna on Bangalore Mysore Highway. Mysore (now called Mysuru) is 140 Kilometers for Bangalore and takes 2-3 hours to reach. Although the distance is not much, actual travel time may be higher on long weekends due to traffic. This erstwhile capital of the Kingdom of Mysore or Karnataka is a must visit destination on a trip to Bangalore or South India. This day trip is a perfect package tour if you want to visit Mysore and come back to Bangalore the same day. A little hectic trip is like is best done in car and bus sightseeing day tour package can become quite tiring. 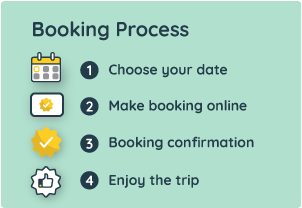 Booking is online and hassle-free. The driver will pick up the guests from the hotel/residence address at the time selected during the booking. First stop would be Srirangapatna on the way to Mysore. The guests may stop for breakfast on the way as per their convenience. At Srirangapatna, visit the Ranganthaswamy temple dedicated to the Hindu god Ranganatha. Next, visit the Tomb of Tipu Sultan, also situated in Srirangapatnam. This mausoleum of Tipu Sultan is an architectural wonder. Its excellent workmanship is evident in the carved windows, brick dome and artistic doorways decorated with ivory. After Srirangapatna, head to Mysore city where St. Philomena's church is our first stop. Built in the 1930s in Neo-Gothic style and inspired by the Cologne Cathedral in Germany. Next, visit the majestic Palace of Mysore. Built by the royal family of Mysore, the palace is one of the most visited palaces in India. After a tour of the palace, drive to Chamundi hills and get the bird's eye view of the lovely city of Mysore. Visit the Chamundeshwari Temple on top the Chamundi hill. Visit Mysore zoo & Karanji Lake if time permits. Drive back to Bangalore, the driver will drop you back to the hotel or residence at the end of the tour. The tour is expected to end by 14 hours from the starting time. Please Note: Itinerary is just a suggested one, so customers can add or remove places. This is not a guided tour. This is a custom tour, guest may choose to add or remove any of the places of a visit from the itinerary. Airport pick-up and drop is available at additional cost (select add-on while booking). Night charge of Rs.300 is applicable if the cab service is used between 10:00 pm to 6:00 am. The tour has a time limit of 14 hours. After 14 hours, additional per hour charges are applicable (to be paid directly to the driver). For Sedan (4-seater) Rs 100 per hour (additional hour charges) & Rs.11 per km (extra kilometre charge). For SUV (6-seater) Rs. 150 per hour (additional hour charges) & Rs.13 per km (extra kilometre charge). Electronic City, Hoodi & Airport are considered as outskirts.